The median home value in Hazel Crest, IL is $91,000. This is lower than the county median home value of $197,800. The national median home value is $185,800. The average price of homes sold in Hazel Crest, IL is $91,000. Approximately 57.92% of Hazel Crest homes are owned, compared to 26.64% rented, while 15.44% are vacant. Hazel Crest real estate listings include condos, townhomes, and single family homes for sale. Commercial properties are also available. If you see a property you’re interested in, contact a Hazel Crest real estate agent to arrange a tour today! Learn more about Hazel Crest Real Estate. ORIGINAL OWNERS OF THIS SPACIOUS 3 BEDROOM 2 BATHROOM END UNIT. THIS CONDOMINIUM UNIT AT WATER'S EDGE OF VILLAGE WEST, GORGEOUS PRIVATE SETTING. HAS A NICE VIEW FROM 17' BALCONY. CAN GET TO THE NATURAL POND/WALKING TRAIL. END UNIT MASTER SUITE WITH LOTS OF CLOSET SPACE & A FULL MASTER BATH.FULL SIZED IN UNIT LAUNDRY HOOKUP. BIG KITCHEN WITH WHITE CABINETS, LARGE PANTRY & ALL WHITE APPLIANCES ( NEW DISHWASHER) CENTRAL AIR. COMMON AREA AMENITIES INCLUDE: UNDERGROUND HEATED PARKING, POOL WITH LARGE2 SEPARATE DECK AREAS,BIG CLUBHOUSE FOR RELAXATION OR EVENTS, EXERCISE ROOM, BIG STORAGE & BIKE ROOM. ELEVATOR BUILDING & A 55YR OLD & OLDER BUILDING.HOA FEE INCLUDES ALL COMMON AREAS, HEAT & WATER. UNIT HAS 3 STORAGE AREA. LARGE WALK IN ROOM OUTSIDE CONDO, ONE DOWN THE HALL COMMON. & IN BASEMENT, FULL TALL STORAGE CORRAL. PROF MGMT W/ DAILY MAINTENANCE MAN. AWESOME EXTERIOR POOL. HOA HAS SOME CLUBS & EVENTS. GREAT SCHOOLS HERE. CLOSE TO PARKS, SHOPPING & HIGHWAY ACCESS. Fabulous income property with 3-year, section 8 tenant! Completely rehabbed 4 bed, 1 bath ranch with gorgeous hardwoods, stainless steel appliances, granite counters, marble backsplash, and fireplace. Also features a fenced yard and 1.5 car garage. Nearby Jewel-Osco, Target, and Menards. Easy interstate access and bus service. The current rental rate is $1,925/ month. $1,875 of that is coming from the Section 8 voucher. Come see today! Beautiful well kept Brick Condo with Courtyard view! Move In Condition & updated in 2017, yet sold As Is. New roof, new intercom system & new balcony flooring. Low HOA fees of $130 include: Water, common insurance, parking, exterior maintenance, lawn care, scavenger and snow removal. Only pay for Electric, and Cable. Spacious living room and dining room with parquet floors and area for table. Walk onto the balcony and enjoy courtyard views. Two large bedrooms with closets and parquet flooring. Kitchen features newer: refrigerator, dishwasher, oven and built-in microwave. Current cable is DISH satellite. Storage room locker and Shared Laundry room located in lower level. No renting allowed. Conventional or cash loans only. Pets allow but 1 per unit. Lovely 4 bedroom 2 bathroom tri-level home. The extra large family room leads to a concrete patio with a wonderful view of the playground. Not to mention the huge eat-in kitchen. This home will not disappoint you also has an L-shaped dining room and living room combo. Huge Master Suite with walk-in closet and master bathroom. Newer carpet in 2 of the bedrooms. All bathrooms have been updated. The roof and HVAC systems have been updated. NICE HOME AND HAS THREE LOTS. 76'X122' AND FENCED YARD WITH A NEWER GARAGE BUILT IN 2007 WITH PLENTY OF SPACE. UPDATES ARE HIGH EFFICIENCY FURNACE AND A.C 2013, WINDOWS 2008, REFINISHED HARDWOOD FLOOR IN 2012, CIRCUIT BREAKERS 2001, KITCHEN CABINETS IN 2005 AND APPLIANCES STAY. LARGE LIVING ROOM, DINING ROOM, FULL BATHROOM REMODELED 2016 AND TWO GREAT SIZE BEDROOMS. BASEMENT IS FINISHED WITH 1'2 BATHROOM AND FAMILY ROOM AND STORAGE ROOMS AND WORK AREA. THE YARD HAS NICE TREES AND IT IS SPACIOUS FOR THE SUMMER TIME. STORAGE SHED AND MUCH MORE. All fixed up and ready to go! Don't miss this freshly updated 3 bedroom ranch on a beautiful corner lot. Professionally rehabbed in 2007 with new windows, new kitchen with oak cabinets, sink, counters, furnace, ceramic bath, tub, new electric, gutters & trim. Just updated with brand new carpet, new kitchen floor, new utility tub and faucets, kitchen faucet and new tub faucet. Attached garage, fenced yard, family room, and fresh paint! Nothing to do but move in and enjoy!! Pride of ownership shows - Perfect started Home- Very well maintained brick bungalow- 3 bedrooms-Large living room-Full partially finished basement- Could easily be set up for related living with separate entrance-Nice size fenced yard-Detached garage-Close to shopping, transportation, interstate, schools and parks. Brick 3 bedroom quad level home with a 3 car garage. This lovely home has a lower level family room with patio doors that lead out to the spacious back yard and a sub basement. The spacious eat in kitchen will include stainless steel kitchen appliances prior to closing. See it today! Pre-approval buyers please! Easy to show ! 3bdrm Split Level with attached garage and huge backyard. Close to shopping, restaurants and transportation. Why Rent when you can Own a Beautiful like new Renovated Home. The interior offers a Neutral color palate with Stylish Design & Finishes throughout. Beautiful Hardwood Floors throughout most of the first floor, Brand New Kitchen with Ceramic tile, Granite counters, New SS Appliances & Ceramic backsplash. Washer & Dryer Included, as well. Sparkling Clean Bath & New paint throughout. NEW MECHANICALS. This Turn Key Beauty can be your new home before the Summer! Become a Homeowner Today -- GREAT LOCATION & CLOSE TO EVERYTHING -- Priced 2 Sell! THIS CLASSIC UPDATED FARM HOUSE WITH 3 BEDROOMS, 1 & 1/2 BATHROOMS, FULL BASEMENT AND BIG 2 CAR GARAGE IS LOCATED ON A GIANT LOT IN A QUIET AREA OF HAZEL CREST, BUT EASILY ACCESSIBLE TO I-294 & I-57. THE BIG WOODED BACKYARD WILL BE PERFECT FOR ALL YOUR FAMILY GATHERINGS. Outstanding brick ranch style home that sits on a corner lot. 3 bedrooms 1 bath. "Sold As Is" Huge brick fireplace in living room. Home has a great bone structure but needs updating. Central Air but AC unit does not work. Roof 2016, windows are original, water heater & furnace 2008. Quiet neighborhood with 4 huge parks for the children. I-80 & 294 are right in the backyard. Professional CAT 5 for computer hook up installed, TV antenna. Heated garage with gas pipeline. Alarm system with battery back up. This home has a lot of potential just waiting for the right buyers to turn her into a beauty. Move fast this renovated 4 bedroom townhouse with 2 1/2 baths will not last with a 1st floor laundry and a 2 car garage. Almost everything is updated and new. Renovated kitchen with granite counter tops. Spacious living rooms leads out to the new patio and yard. 3 bedrooms upstairs with new carpet and fully renovated bathrooms. The master suite can easily fit a king size bed for with with full walk in shower, an awesome vanity and closets you must see to believe. Basement features a bar with plenty of extra space for entertaining. Newer furnace and new hot water heater along with a secret room that can be used as an office, workout room or ultimate woman/man cave. Don't wait to long to Schedule your showing! CORPORATE OWNED SINGLE FAMILY RESIDENCE "AS IS" WITHOUT REPAIR, WARRANTY, OR SELLER DISCLOSURE.  BUYER RESPONSIBLE FOR CORRECTION OF ANY CITY BUILDING CODE VIOLATIONS - - CASH ONLY - PROOF OF FUNDS TO ACQUIRE IN CASH AND PROOF FUNDS TO FINANCE REHAB OF THE PROPERTY REQUIRED - EXPERIENCED & QUALIFIED DEVELOPERS. Ready for rehab & priced to move. Proof of funds required for offer to be considered. Please see remarks listed in Agent Remarks Below: RANCH STYLE .FULL BASEMENT PLUS ATTACHED 2 CAR GARAGE. VACATION 365 DAYS A YEAR WITH GOLF, TENNIS, POOL & HOT TUB ALONG WITH LOTS OF GREEN SPACES FOR HIKING & BIKING. HOMEWOOD-FLOSSMOOR SCHOOLS CAREFREE LIVING-NO MORE SHOVELING-NO MORE LAWN CARE. 3 BEDROOM BRICK 2 STORY GEORGIAN WITH HARDWOOD FLOORS, A FORMAL DINING ROOM, FULL UNFINISHED BASEMENT AND DETACHED 2 CAR GARAGE. GREAT BLOCK GREAT LOCATION. FENCED IN YARD CLOSE TO EVERYTHING. Great single Family home currently rented; full of love and ready for a new owner; 3br 1.1 bth with loads of potential and spacious living. Bring your offers and make memories. Agent owned. Do you have a buyer looking for a move in 3 large bedroom, 1.5 bath tri-level home. This is the home for them. Home has a spacious lower level with fireplace. Main level bedroom is being used as a dining room. Many upgrades completed within the last 10 years. Bring your buyer out today! This is a great home that is priced to sell!!!!!! Nice 3 bedroom for first time homebuyer or investment. 5 Bedroom 3 Full Bath Bi-level Selling As Is. Short Sale. No Termite or Survey provided.